Node.Seam can realize beautiful joints with no visible slits or drill holes. 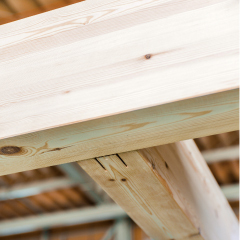 It enables wooden structural frames focusing on beauty like seams on clothing, as well as strength. It can also be applied to beautiful solid wood. 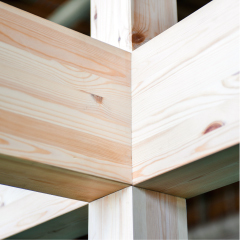 Node.Seam can accommodate small to large cross-section materials as well as climbing beams and angled joints. It can hide holes on the side surface of the beam by connecting with a horizontal brace using an attachment or connecting shaft-shaped connectors with other STROOG connectors. It can also be used to build small-scale constructions such as infills. 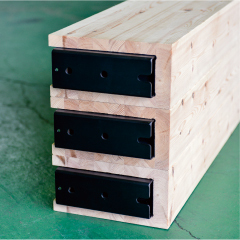 In addition, by being hidden inside the timber, it can achieve high fire resistance. 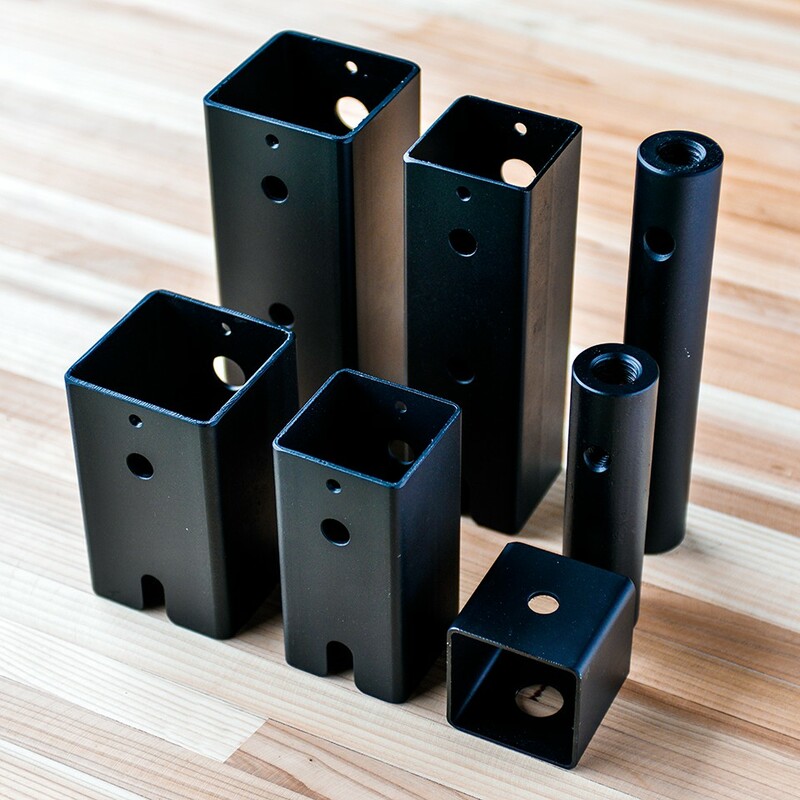 Our connectors can be pre-installed to timber at a precut factory. At a construction site, you can assemble them easily using specialized shaft-shaped connectors. By maintaining loading efficiency even with connectors attached, Node.Seam can reduce transportation costs.